Finding mouth-watering burgers, steaks and other frame grilled delights in Miami is now very simple. This is because of the newly opened Fuego $ Blaze BBQ that offers excellent steaks you will definitely love. To ensure that they serve you best and get all you need, they have employed professional experts, who will prepare you the best steaks and burgers. Get in touch with them via 786-520-4082 today or reserve online for quality and reliable service. This is the restaurant for delicate steaks and burgers in Miami. To ensure that they are at the climax, they have employed very professional experts, who will prepare you delicious burgers and steaks of your taste. They are very experienced and can, therefore, prepare a wide range of recipes to suit your taste. Visit them today in case you want have a different taste of steaks, burgers and other grilled delights. Would you love to get the real deal of the BBQ, grilled steaks and burgers? For a new food experience, then this is the best restaurant that will offer you a great experience. This is because they will provide you with the good old burgers that is stacked with crispy 6-hour house-smoked pastrami that you will definitely love. Besides this, you will also get a taste of the BBQ steak, house aged, smoked meat selections and cured meat steaks that will make your meal wonderful. You will also get a taste of the Latin-flavored pulled beef empanadas that you will really love. All these are just meant for you. Hurry and get a taste of quality and delicious steaks at Aventura Miami Kosher Cowboy Steak today. In order to ensure that they are reached by different clients, they have got a new location that is situated at the 3585 NE 207th St. at Waterways Shoppes Aventura, FL 33180. This is the place that you will get a quality Tex-Mex BBQ and burgers of your taste. You will be guaranteed of quality and reliable services and this is a place you will visit again and again. These are some of the reasons why you need to visit this elegant restaurant in Miami. They only offer quality and perfectly grilled steak and burgers of your taste. 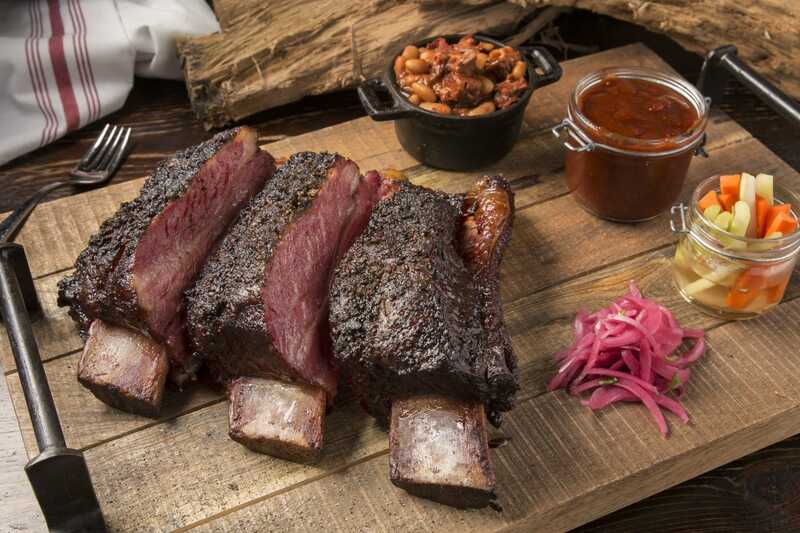 Enjoy a delicious meal with family and friends at Aventura Miami Kosher Cowboy Steak and you will make it a routine. They are very reliable and opens most of the times including weekends. You can always visit them as from Monday to Thursday 12p -4p, then 5.30p -11p. On Saturday and Sunday, they open as from 10p- 1am and 12p-11p respectively. They are not only available on Fridays. In order to get in touch with them, then you just need to make a phone call via 786-520-4082 and they will do as you command. Alternatively, you can reserve your place online through their website. This is the ultimate place for all your steaks, burgers and all other grilled delights.